There’s nothing like the thrill and anticipation of a boat ride. . .
We’re happy to be All Paws On Board! The captain’s lap is the seat of choice. . . Whether we’re under way or anchored to watch the sunset. 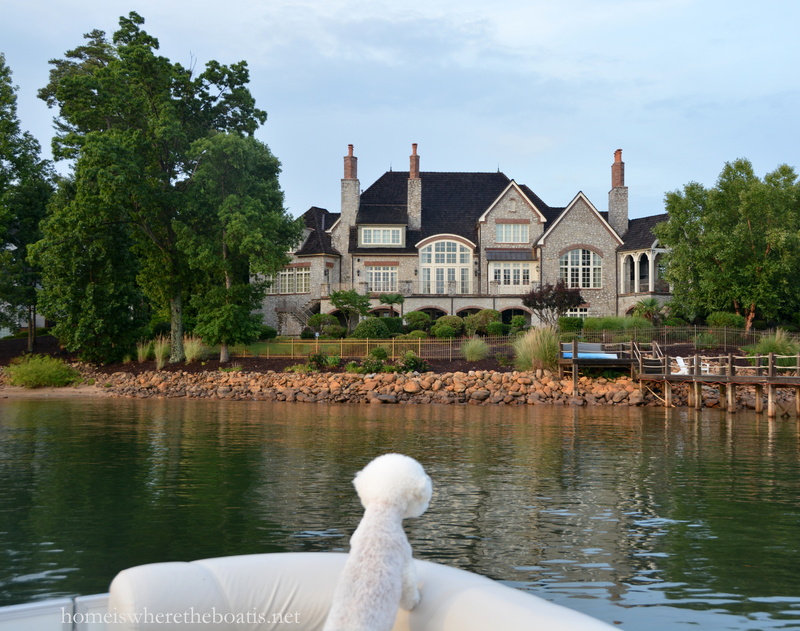 We all like to admire some of the beautiful homes on the lake by boat. 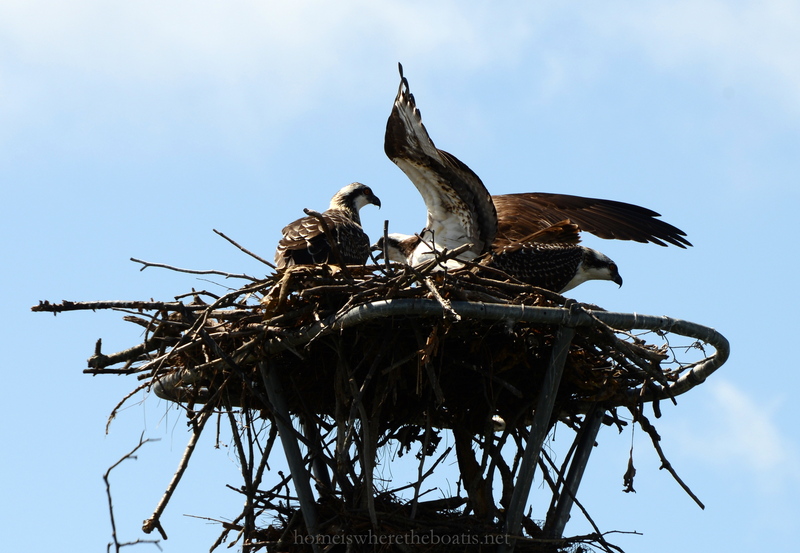 . .
And to check out the osprey nests and see how the juveniles have grown. Happy Weekend from Our Boat to Yours! ← The Bees Knees: Summertime Sipping and Giveaway! Mary! I absolutely LOVE this post…all of those gorgeous photos…of Chloe and Gracie!! Oh, and the beautiful houses too of course! :) Have a wonderful weekend and give those two pups a hug from us! Such gorgeous photos! Such sweet expressive doggies! Merci pour ce petit tour en bateau, avec la canicule que nous subissons actuellement, ces images sont rafraîchissantes. Les bichons semblent aussi apprécier. Vous avez pu apercevoir des maisons de rêve ! Mon anglais n’est pas suffisamment bon pour que j’écrive dans votre langue….sorry ! Oh what a perfect cruise! 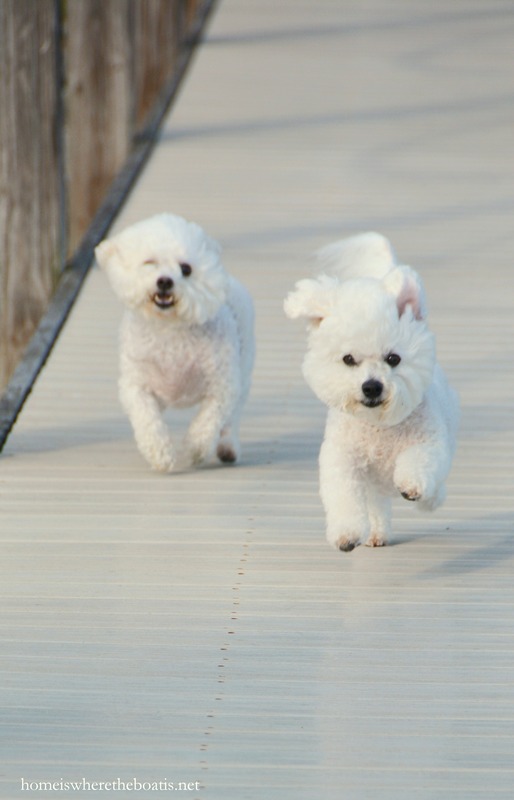 The pictures with the pups running to the boat are adorable! The captain is quite the handsome one! The homes around the lake are magnificent! I can’t decide which is my favorite but I think I’m partial to the last one with all the stonework! Have a lovely weekend! Nature’s Serenity on the Lake! Love, Love!! Such adorable, expressive little faces! Loved all the photos, Mary! Oh what lucky dogs!!! Adorable! 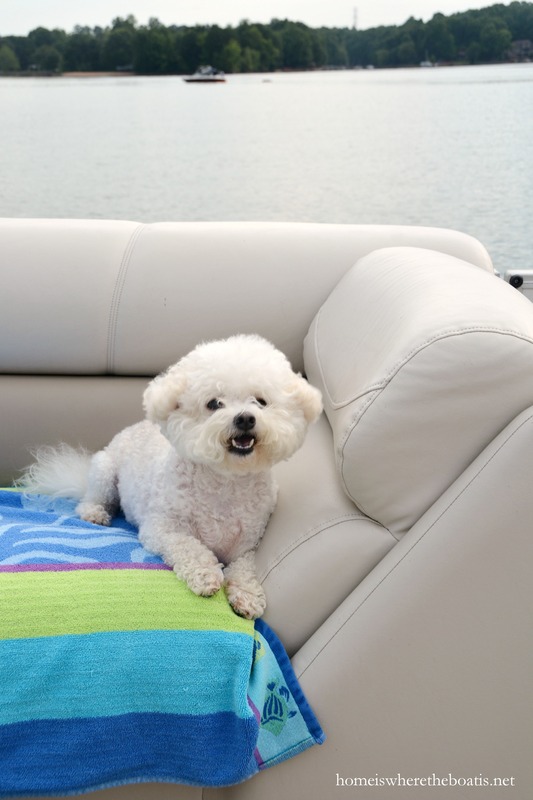 Maizy loves to go on the boat, but she is not as tolerant of having her picture taken as your pooches are! Keeper says HEY!!! 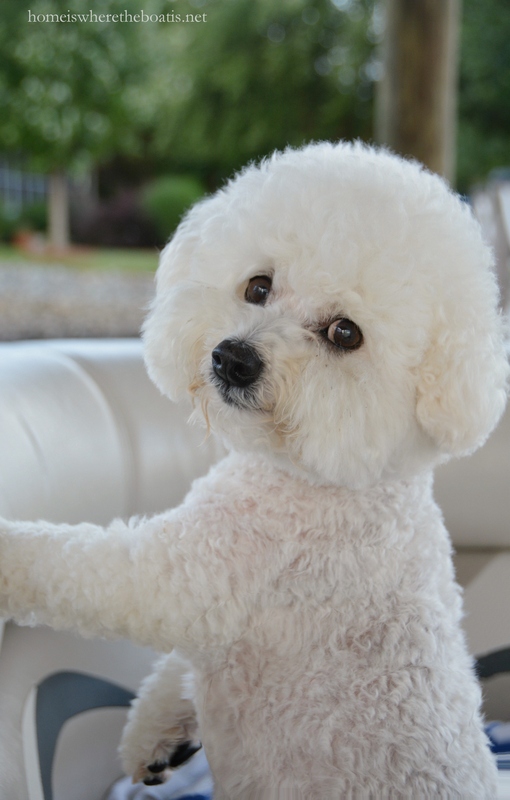 My little Bichon loves to go on boat rides at our lake house, too!! She’s not crazy about having her photograph taken, either. Your girls are precious!! Happy Weekend! We decided not to go to the lake today due to the high temps, so no Crest pontooning for us! Finlay is hard at work writing a guest post about his Lake Martin adventures. Chloe and Gracie could hardly wait to get their happy paws on board!! It was fun touring the lake with all of you, Mary. 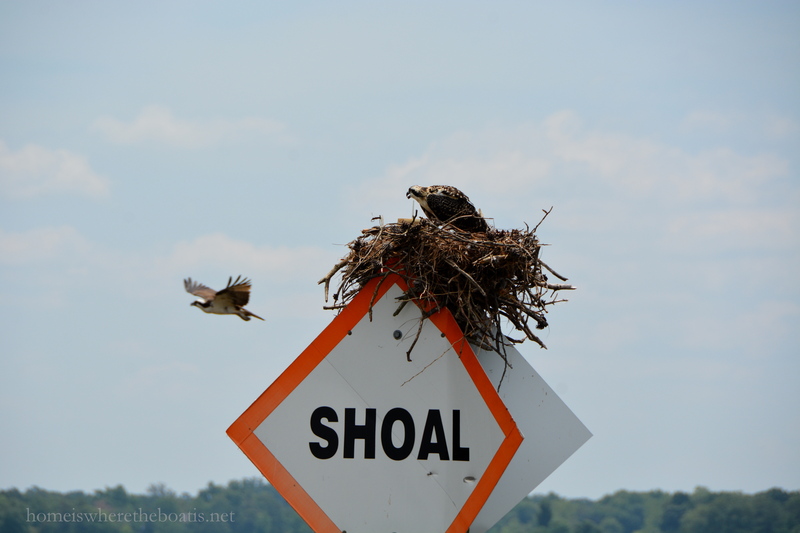 I enjoyed the seeing the gorgeous homes and the osprey nests. Thanks for the fun ride! Everything about this post is wonderful. The dogs, the boat, the captain, the houses, the ospreys and all the beautiful views. Thanks Mary. Have a wonderful weekend!! Adorable! 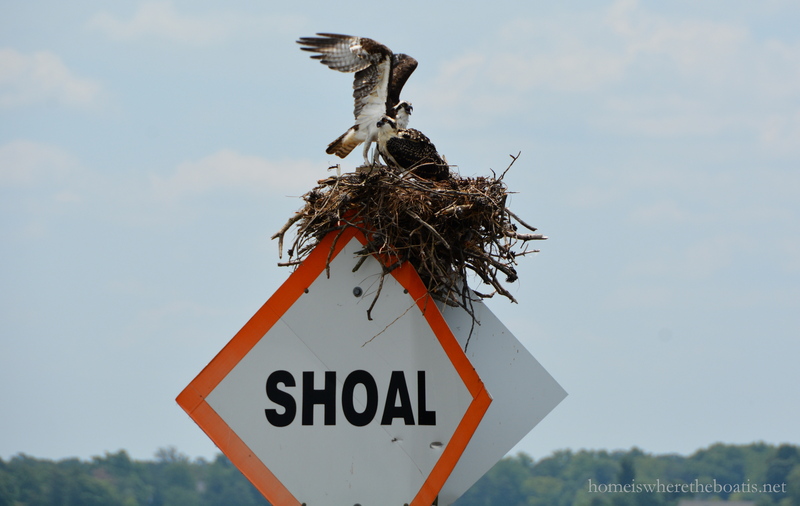 Great photos, love the ospreys. Just lovely, Mary! Thank you!! Gorgeous pix, adorable fluffs and not a bad captain either! :) Would it be safer if the gorgeous girls wore life vests just in case?? Thanks for sharing an amazing escape!! Wow! 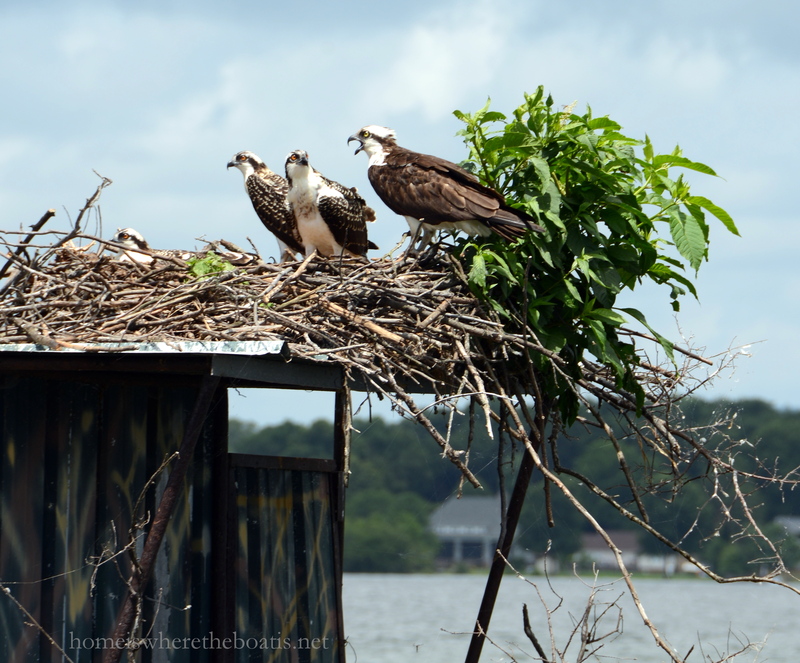 Amazing homes, amazing wildlife, luxurious boat, adorable pets, handsome husband – what a privileged life you have! Thanks for the lovely post. Your furbabies are just adorable! Have a great time boating! What a wonderful Post! Love your Beautiful photos! Looks so calm and peaceful out on the Lake. Beautiful Homes and your 2 dogs are Adorable! Such sweetness! Oh my goodness as I always say, this is one of my favorite blogs of all time! 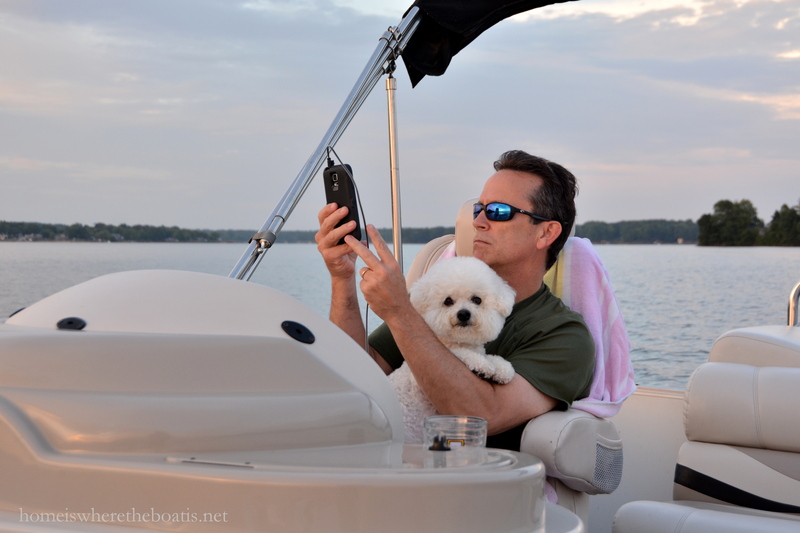 I love those sweet little faces of your precious fur babies and love the views from the boat! 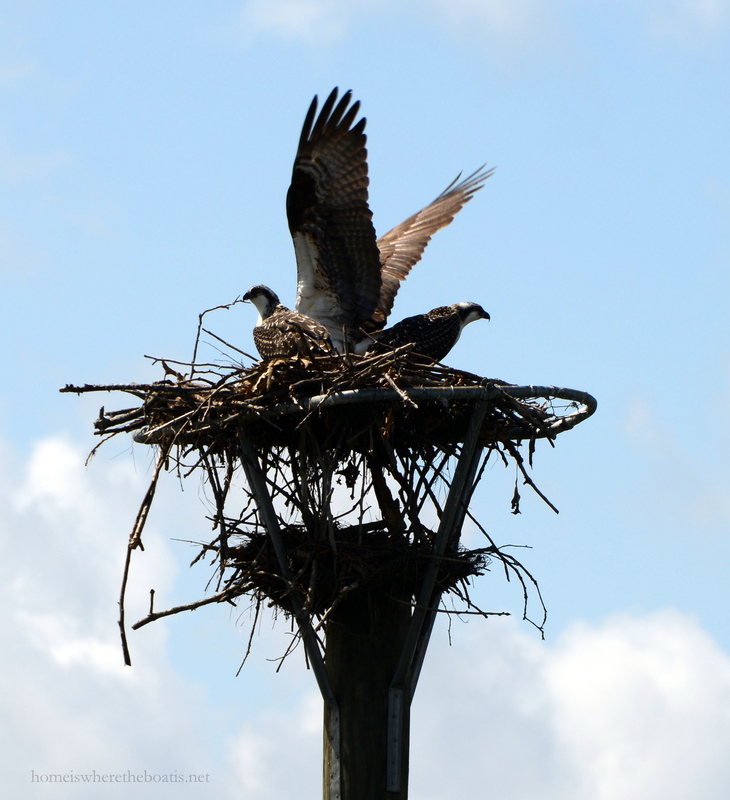 The Osprey nest photos are some of my all-time favorite! Thank you for all you do and all the work you put into this blog it is absolutely beautiful! You have WONDERFUL photography skills!!! These pictures are amazing (and they make me want to go for a boat ride right NOW – even though I don’t have a boat). 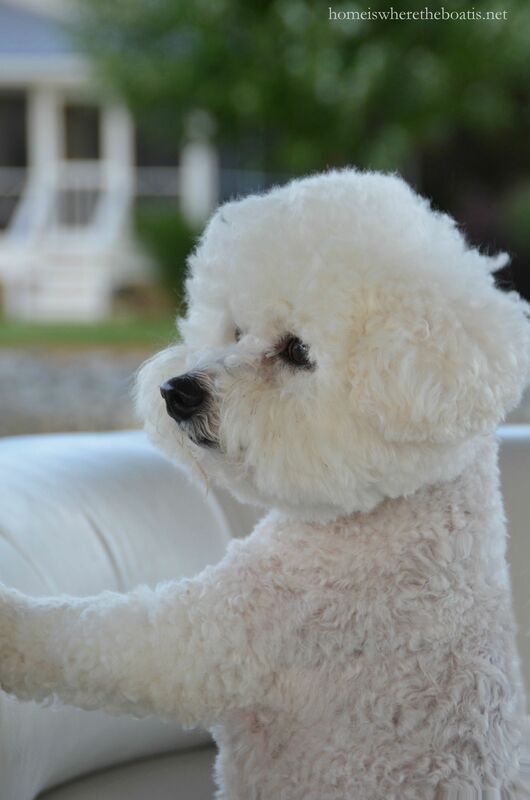 My bestie & I have decided we will both get bichons as our next dog. They are CUTE!!! I love the posts with your dogs, and how you include them in your daily life. We have two cats and do the same- they are our babies. 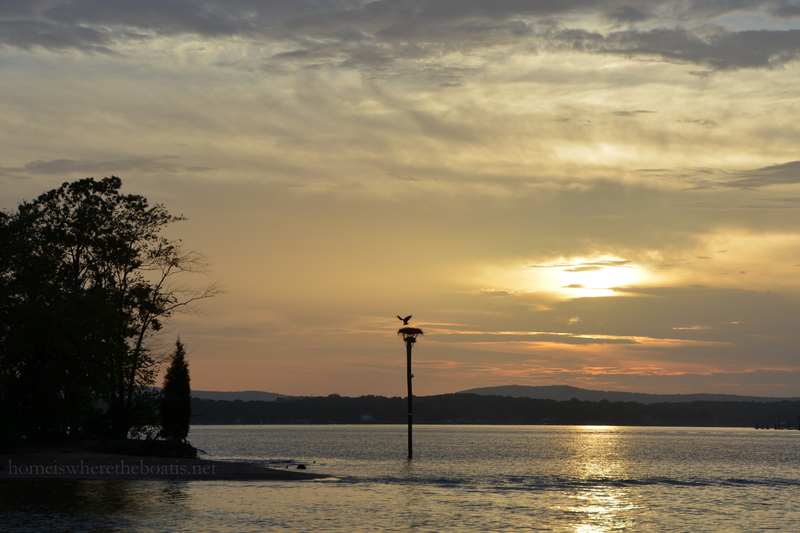 You are a great photographer and I love seeing all your pictures of the lake and the houses there. I showed my husband and he really enjoyed the post also. Great job! I just love your posts! I am on disability and I get to see things I would never get to see otherwise! Thank you for giving me bright spots in my days. 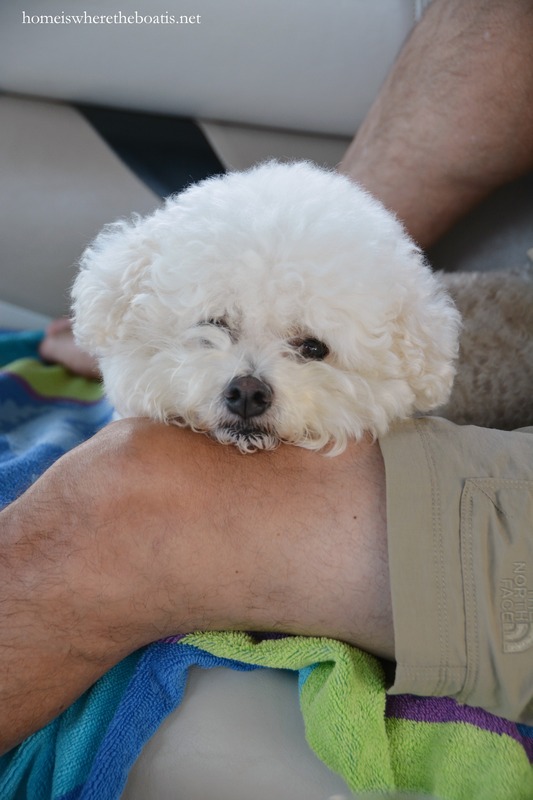 Love your Bichons. I have 2 cats now so my landlord won’t let me get a pup. I always thought I’d want one when I can get a pup again. Oh, how I miss having a boat sometimes. 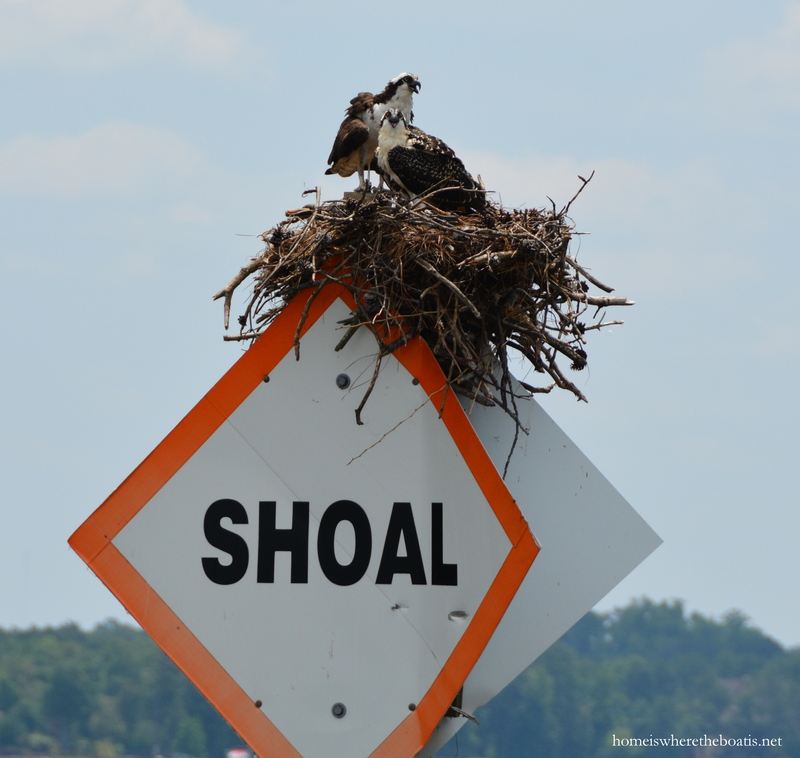 Your lake has beautiful homes close to water’s edge. Lake Travis, where we sailed, has homes that sit well above the lake because it isn’t a constant level lake. It’s a treat to take them all in. I could move right into the last one you’ve shown. Looks like it has lots of light. The best part of this post though is seeing Gracie and Chloe enjoy the outing. Running with excitement and sitting up to take the wind in their face. What a life! Could they be any cuter? 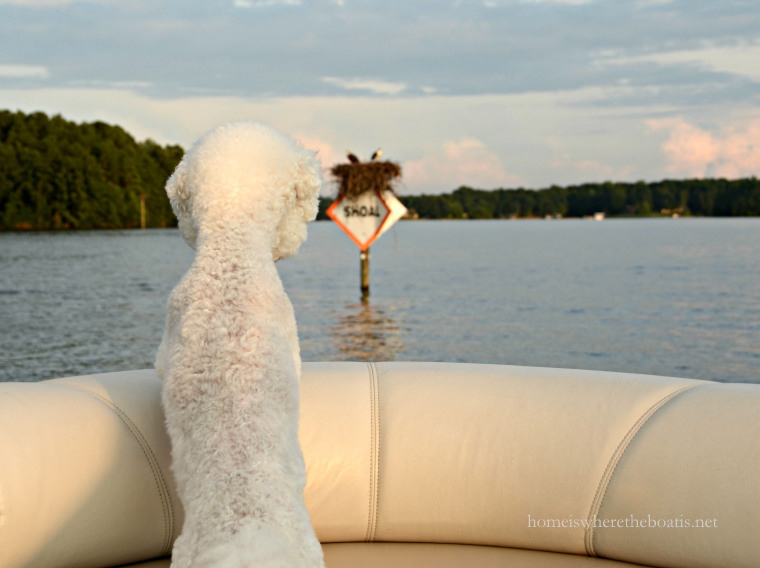 What a fun trip across the lake with Chloe and Gracie–they are so adorable! What a wonderful post! Love your little puppies..so adorable! The Eagles are so amazing! 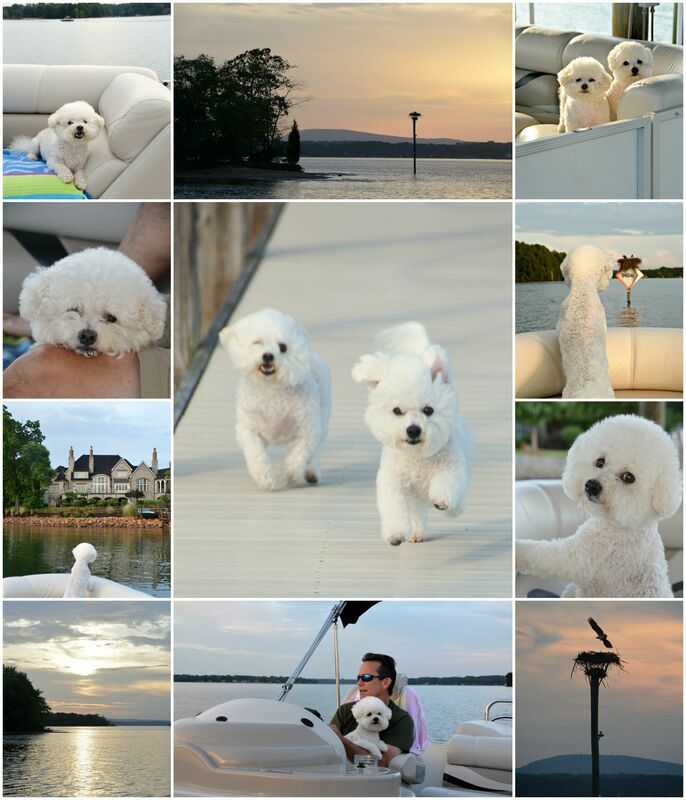 What a great time Gracie and Chloe had out on the lake, stunning scenery, beautiful homes and amazing views. So enjoyed being on the boat with you all this weekend. Precious, just precious, Mary! What a beautiful post. Thank you! Love those sweet pups !! (giggle) they are so cute! The wildlife is amazing in the sunset. Yes, I too liked the last home best, kind of English village style. Bigger isn’t always better ! Being with my sister who is fighting stage4 cancer, makes one realize what is important in life. p.s. May I have a mailing address for you?, I have something I would like to mail to you! Your photography is killer! Love this post! What lucky dogs and what lucky owners to get to have such a wonderful lake with such wonderful scenery to get to take in as you cruise around! The houses are just stunning! How blessed you are to enjoy living on the water. I would love it if you would stop by and share this or any of your wonderful posts (especially your beautiful tablescapes) over at Celebrate it Sunday. Mary, your little babies are too, too precious, and what hams for the camera. Thank you for the great tour of wildlife and magnificent homes which, unfortunately, will have to suffice until we come down to visit our son and enjoy that beautiful lake in person. 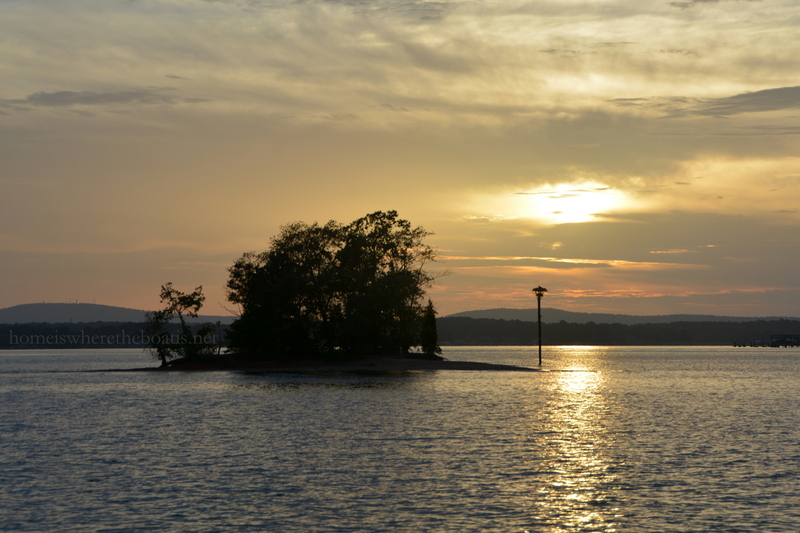 Lake Norman is on our short list for retirement. Love your sweet little fur babies! 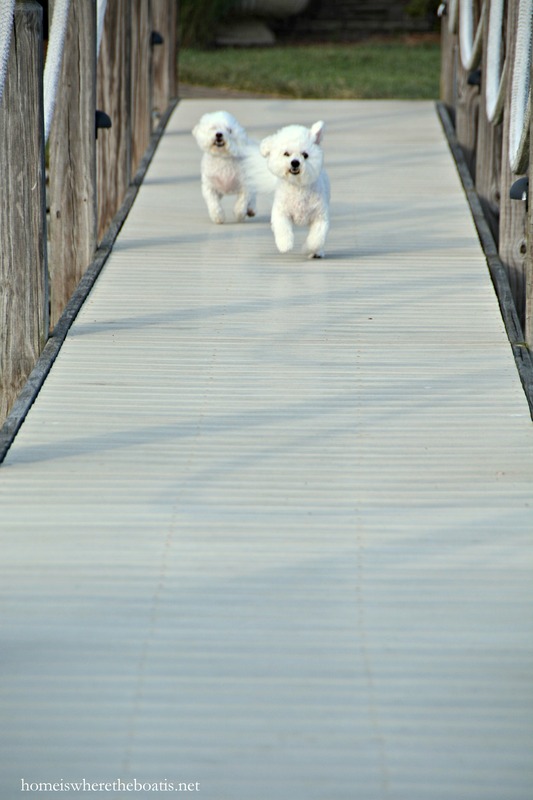 The pic of them running on the dock is adorable. Loved the pics of the houses on the lake. 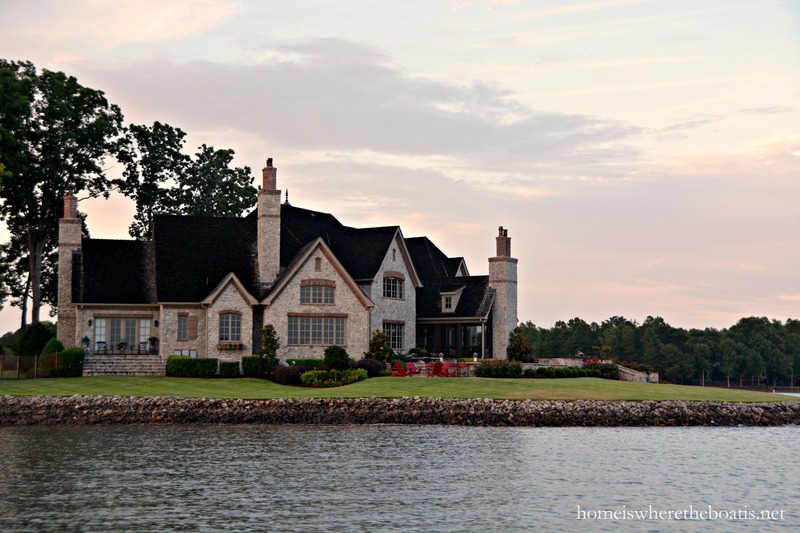 My nephew & his wife just bought a house on Lake Norman and they love it. Thanks for sharing the beautiful pics!! The girls are just so adorable!!! Just love to see them! 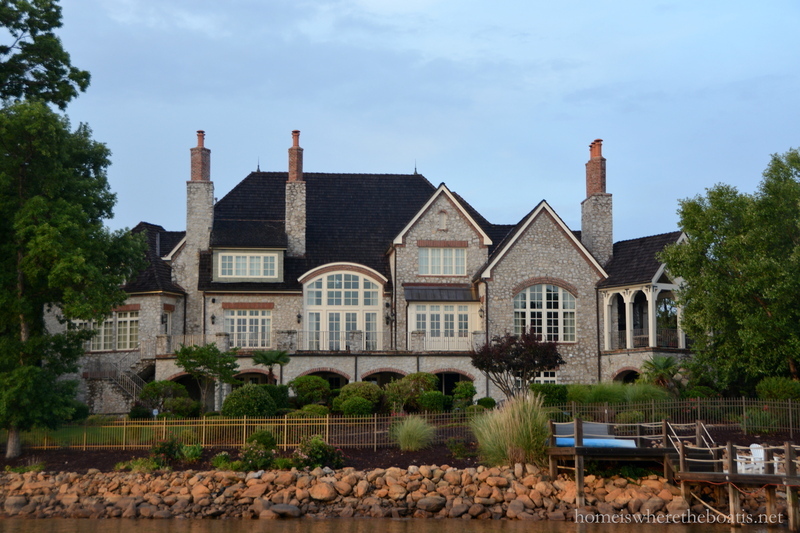 and I am picking my jaw off the floor after seeing those amazing, amazing homes on the lake. 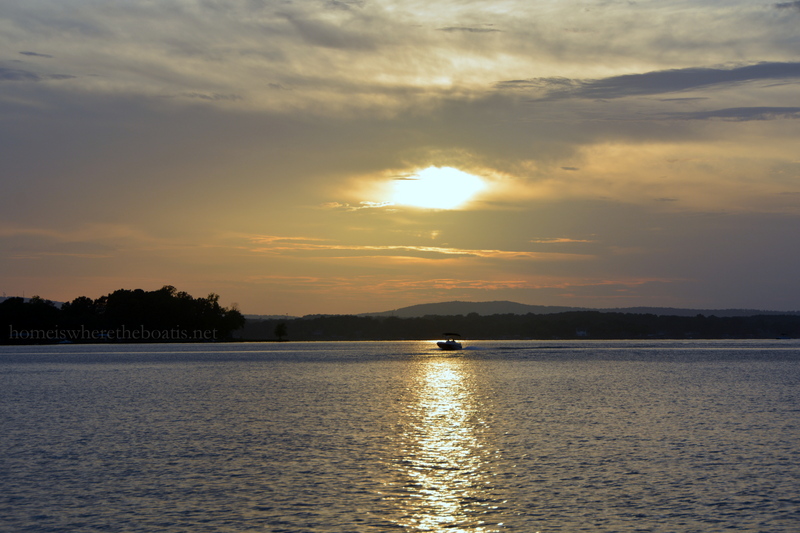 I think the time nearing sunset is the best time to cruise the lake…such a great way to top off the day! The babies are TOO cute! What little dolls! 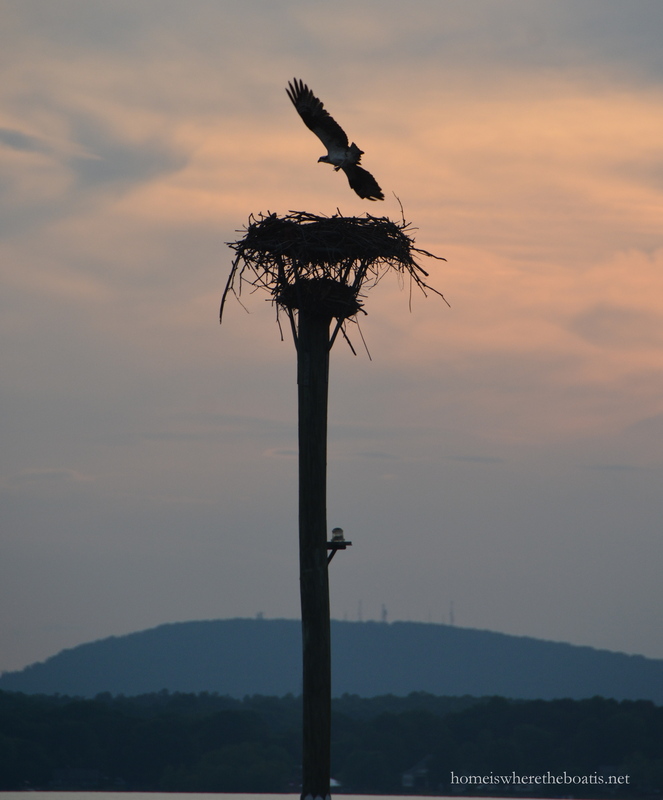 Beautiful scenery – loved the pics of the birds too. Thanks for the boat ride! ha. Hopping Down the Bunny Trail: Easter Table Inspiration, Centerpieces and Giveaway! © 2010-2019 homeiswheretheboatis.net All Rights Reserved. Home is Where the Boat Is and all content and photographs are copyright protected. Using content including but not limited to photos, posts and text without permission is prohibited. Pinning or sharing on social media is encouraged but please ask permission before using any content from my blog for any other reason. Thank you. Your Favorite Posts, Click to See! Easter Peeps Centerpiece and Peeptinis! Hopping Down the Bunny Trail: Easter Table Inspiration and Centerpieces! Easter Countdown and Parade of Recipes and Table Inspiration! Hooray for May: Celebrations, Recipes and Party Inspiration! Create a Blooming Easter Basket! Easter Basket Cupcakes: As Fun To Make As They Are To Eat! Chalking it Up: Happy Spring Blooms! Floral Friday: 1st and 3rd Friday of the Month!